If you live in the United States, then you know we’re in for our last big blowout before the end of summer, Labor Day Weekend. If you live elsewhere, it’s still a weekend, so it’s all good. If you’re a reader, what makes it even better is that the first book in Eoin Colfer’s Artemis Fowl series is free today on Amazon. Remember, you don’t need a Kindle to get this book. All you need is the app, which runs on smart phones and tablets as well as computers. If you’ve already read Artemis Fowl, or just aren’t interested, I’ve included a few other novels as well. Meghan’s graduation gift is one that any eighteen-year-old would dream of: traveling abroad to England. Her journey turns into more adventure than expected when Meghan meets the mysterious Kiernan and is introduced to a strange society hidden beneath the streets of London. When Meghan’s life is threatened, she flees the city and seeks sanctuary in a distant village–a place unseen by human eyes for over one hundred years. Not knowing if anyone can be trusted, Meghan tries to determine who is friend, who is foe… and who has captured her heart. Meanwhile, a battle for survival brews all around her. 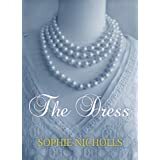 Sumptuous vintage fashions, a very modern love story and a sprinkling of ‘everyday magic.’ The owner of York’s new vintage dress shop is not quite what she seems… Meet Ella and her mother Fabbia Moreno who arrive in York one cold January day, to set up their vintage dress shop. The flamboyant Fabbia wants to sell beautiful dresses to nice people and move on from her difficult past. Ella just wants to fit in. But not everyone is on their side. Will Fabbia overcome the prejudices she encounters? What’s the dark secret she’s hiding? And do the silk linings and concealed seams of her dresses contain real spells or is this all just ‘everyday magic’? BTW, if you are a romance reader, you really ought to check out the current list of Amazon romance freebies. I saw a number of books published by Harlequin and Ellora’s Cave. It’s a bit pokey. If you have one, you know what I mean. When the wifi is on, it really slows down. My beloved hoard of cookbooks do not look so yummy in black and white. I really wanted to see the pictures in color. Same with my hoard of travel books. I’ve been debating (and saving money) for a while, trying to choose between getting a Kindle Fire and an iPad. There were pros and cons to both. I heard that the Fire has the same pokey problem. I also wanted a larger screen than the Fire. However, the Fire’s price is nice. The iPad is a big ticket item. While it’s certainly lighter than a computer, it’s not as compact as a Kindle. Also, I already have an iPhone and do I need a bigger version of that? From the title of this post, you already know that I went with the iPad. What sold me was the Bluetooth keyboard cover (at additional cost) and an app, Quickoffice Pro, that will allow me to use the tablet as an on-the-go word processor. FYI, I’m using SugarSync to sync my documents between devices. I was also able to seamlessly transfer my music, movies, and certain apps from my phone. If you are using an Android phone, an Android tablet would probably be a better choice for you. iPad in hand, I fired up the Kindle app. The Kindle Cloud made all my books appear, ready to be downloaded. Sweet! Love the color! Love the Retina screen display. Love how fast I can move through the pages. What I don’t love is the lack of folders. The app has no way to organize your books, aside from recent downloads and alphabetical order. This is a bit of a disappointment, though not one that would have tipped me in favor of the Fire. I downloaded two new freebie cookbooks to my iPad today. They look so tasty in color. However you view them, enjoy! This new series by Surrey Books launches with an everything-you-need-to-know guide to using the slow cooker, and features 101 delicious, diverse, and recipes, all of which have been thoroughly kitchen-tested to ensure you have success every time you make one. Featuring a detailed introduction that covers the basics of slow-cooking and discusses helpful how-to’s, insider tips, and keys to best results, this book–and all the books in the 101 series–features a simple, contemporary-looking design that’s as clear-cut as it is elegant, with measures calculated using both traditional and metric quantities. Scattered throughout are beautiful full-color photographs that accentuate the book’s visual appeal. Noodles are definitely a huge part of the Japanese cuisine. In Japan, everywhere you turn there’s almost always a noodle joint of some sort. Served piping hot or chilled, plain or with a whole gamut of toppings; in soups, stir-fried or dipped – it’s no wonder that the Japanese love their noodles! It’s not just delicious; it’s quite versatile, too. 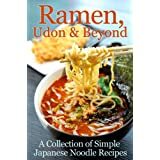 Ramen, Udon and Beyond: A Collection Simple Japanese Noodle Recipes will teach you how to make simple and yummy Japanese noodle recipes – from ramen to udon to soba and beyond! If you write fiction, especially novels, you’ve probably grappled with character sheets. For those who don’t know, a character sheet contains a list of appearance and personality questions to help writers get in-depth with their characters. Here’s one example a generous person has made available. You may find it very helpful. Or not. My experience with these sheets is mixed. When I start a book, I want to get to know my characters as I write them. Filling out a list feels stifling. I don’t know what a character’s favorite color/book/band/movie/etc. is until it comes up in conversation with another character. Even when it comes to appearance, aside from obvious features like black hair and brown eyes, I want to learn as the characters interact and notice each other’s traits and quirks. I find it much easier to fill out a character sheet after I’ve finished a first draft. Still, having a basic grasp of your main characters’ personalities is important before you begin to write. If your characters are too nebulous, you’ll wander right along with them and wonder why they (and you) can’t find motivation. Something that I’ve found very useful is to take personality tests as my characters. The questions make me think about how they would react in a given situation. The results help me understand what kind of a person a character is and focuses their motivation. For example, Paul from my novel, “Fake,” is an INFP personality according to the Myers-Briggs/Jungian tests. He’s an idealist. He doesn’t care what people think about him. He prefers to avoid conflict, but will fight tooth and nail for what’s important to him. Understanding these things about him help me figure out how he’ll act and react as the story progresses. You can find a bunch of personality tests at Similar Minds. This one is my favorite. Want to go deeper? Me, too! What sparked this blog post was the following freebie on Amazon. Its usual price is $25.99, so it probably won’t last long. Grab it now! Every day, we evaluate the people around us: It’s one of the most important things we ever do. 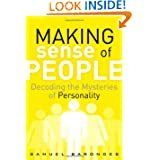 Making Sense of People provides the scientific frameworks and tools we need to improve our intuition, and assess people more consciously, systematically, and effectively. Leading neuroscientist Samuel H. Barondes explains the research behind each standard personality category: extraversion, agreeableness, conscientiousness, neuroticism, and openness. He shows readers how to use these traits and assessments to do a better job of deciding who they’ll enjoy spending time with, whom to trust, and whom to keep at a distance. Your reclusive great-uncle Wilfred, whom you’ve never met, dies and leaves you his millions! You win the Mega Lotto! Here’s the deal with writing: if you’re in it for fame and fortune, you’re in the wrong profession. Which isn’t to say you can’t make a living as a writer, you can! Like any other profession, you need to be good at what you do. Churning out sub-standard crap at your day job will not get you a promotion. Self-publishing quickly-written, poorly-edited books is not a ticket to literary super stardom. But wait! What about Zoe Crapwriter who wrote “23 Shades of Crap” and made millions? Welcome to the literary lotto. Some people just get lucky. Or the author may have marketing savvy that makes up for poor writing. Or Zoe Crapwriter is actually a good writer who worked hard at her craft and found an audience, which doesn’t include you. It’s all subjective. I hate to use the “G” word, but I will. Grammar. Writers hate it. Editors love it. If you want to be a crafty writer, you’ve got to bone up on it. Luckily, there are plenty of good books on grammar and self-editing. And, luckily, one of those is free today on Amazon. Are you uncertain when to use affect or effect? Loath or loathe? Compliment or complement? Do you struggle with character development, establishing realistic dialogue and composing articles, proposals or manuscripts? Be Your Own Editor by Sigrid Macdonald offers a crash course in grammar basics, starting with punctuation and proper use of the dreaded apostrophe. It suggests ways to identify frequently misused words; to devise strong characters and background settings in fiction; and to structure nonfiction. 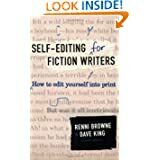 While we’re talking self-editing, I want to shout out one of my favorite writing manuals. I would say that this book more than any other bought me a clue about writing and editing. It is NOT FREE. It is worth it’s price, $9.99, and much more. 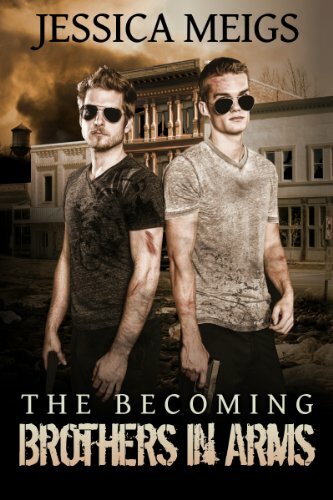 This freebie is a limited time offer and there is no guarantee this book will still be free when you click on the link. Grab it sooner rather than later. Wow. Can it really be that easy? I’ve got two answers. Yes, it can! If you are already fabulously talented and experienced, and are some kind of genius with a way with words, or you have your finger on the throbbing pulse of what’s hot right now and can write really fast, you might, with a lot of luck, be able to do just that. Otherwise, no. And please, don’t. Don’t be part of what makes indie publishing bad, i.e., offering up a steaming pile of crap on Amazon, Smashwords, iBooks, etc. Craft, not crap, is what will get you noticed in a good way, get you readers, good reviews and, who knows, even a contract with an agent or publisher. While sifting through the easy peasy bullsh!t books, I did find a gem among the freebies, one that offers genuine advice on the craft of writing conflict. It’s list price is $9.99, so grab now while it’s still free. Good writers ask, “What if? Great writers ask, “Why?” Characters in your story world walk around and do what you, the writer, program them to do. They may not know why, but you should. Effectively manipulating your characters’ actions, reactions, and motives makes great fiction. Faulty logic and missing motive are plot holes that cause reader disconnect. The reader growls and shrieks: “The character would never do that.” At best, readers smirk and continue to read. At worst, they stop reading and never pick up another book you’ve penned. Within these pages, we meet, warp, and torture 16 characters. We take them from cradle to the grave. We explore how their temperaments create and resolve believable obstacles at the overall story and scene level. We explore what makes your protagonist, antagonist, friends, and foes tick. We find out who they love and hate. We find out what kind of friend, parent, and lover they are. We learn how their strengths and weaknesses lead them to success and failure. In the interest of my own craft, I bought a book on writing fight scenes. I actually get compliments on my fight scenes. I’ve taken Shaolin Kung Fu classes, I’m married to a martial artist and am a big MMA (Mixed Martial Arts) fan. However, writing those scenes isn’t easy and I know I have lots of room to improve. This books looks like it offers some great advice on all kinds of action, from guns to swords to magic. Note: it is NOT free. The Kindle price is nice, just $4.99. 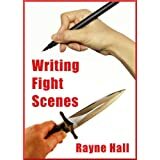 Learn step-by-step how to create fictional fights which leave the reader breathless with excitement. 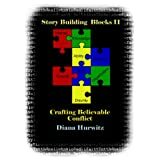 The book gives you a six-part structure to use as blueprint for your scene. It reveals tricks how to combine fighting with dialogue, which senses to use when and how, how to create a sense of realism, and how to stir the reader’s emotions. You’ll decide how much violence your scene needs, what’s the best location, how your heroine can get out of trouble with self-defense and how to adapt your writing style to the fast pace of the action. When it comes to haunted stuff, ghosts, what have you, I am a skeptic. Mind you, I am a fantasy reader and writer. I love me some ghost stories, but believing in actual spooks? No way. 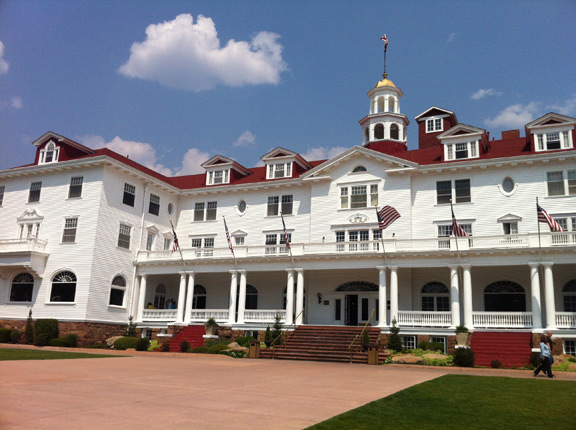 So it was with a huge grain of salt that I accompanied my friend, Susan, to the Stanley Hotel in Estes Park, Colorado. The Stanley Hotel in Estes Park, Colorado. Inspired the book, but not used in the movie, “The Shining”. However, the movie is on a continuous loop on channel 42. Susan is a huge fan of the show, so when we planned her visit to Colorado (she’s from California,) we included an overnight stay at the Stanley, along with a couple of tours. As you can see in the picture above, it is a lovely hotel. Unlike the hotel in “The Shining,” the Stanley is located in close walking distance to downtown Estes Park. I mean, even in heavy snowfall, you could walk there with a good pair of snow boots. However, the hauntings have nothing to do with isolation or lack thereof. According to the tour guides, the ghosts are mostly those who lived or worked there. Upon arrival, Susan and I were greatly amused to discover we were in Room 215. This is directly next to Room 217, famously the most haunted room in hotel. It is also the room Stephen King stayed in. As it turned out, Rooms 215, 217 and 219 had all once been one room, and we were assured our room was also haunted, mainly by a former maid who liked to walk through the walls and pace in our room. Although Room 217 is booked months in advance, at a premium price, I got Room 215 at random and at a Colorado resident’s discount price. Score! Room 217 is in the back. Room 215 is to the right. Both are haunted, but only 217 gets all the light and glory. 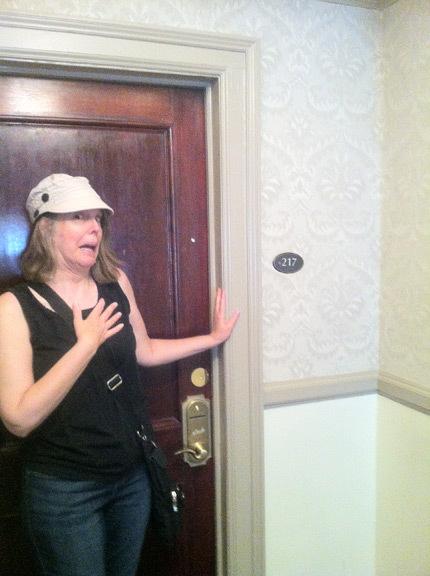 The funny thing about staying in Room 215 is that the extremely popular Ghost/History Tour pauses there every 20 minutes while the guide explains about Room 217. We startled groups of tourists whenever we opened our door. I am beside myself with fear at the prospect of staying next to the spookiest room in the hotel. However, despite all my skepticism, stuff did happen. Spooky stuff. On our first day at the Stanley, Susan and I went on two tours, one in the afternoon and one at night. I didn’t expect much out of the afternoon tour aside from some history and few good stories, and our guide served up both. At the end of the tour, she took us down to the caverns which are used by the staff to get around the hotel without disturbing the guests. 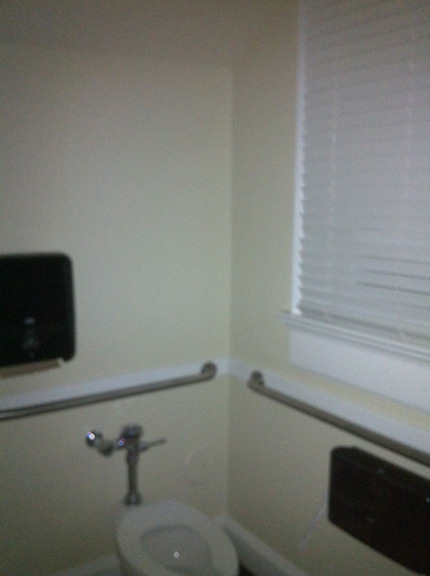 While she gave a few tasty examples of paranormal activity, I decided to take a picture of a dark, spooky corner. 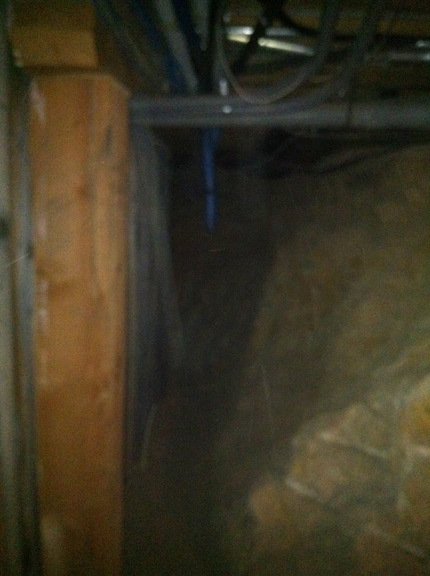 Totally crappy, out of focus picture that doesn’t look haunted. The blue thing in the background is part of the pipes. I took this photo using my iPhone. After the flash, I continued staring at the screen and thought about taking another shot. All of the sudden, these strands of blue and white light appeared. They looked like someone had dipped their fingers in fluorescent light and moved them in an upward motion in front of me. I told the guide what happened. She called it an “orb,” which it wasn’t. There was nothing round about it. She also pointed out the quartz in the cavern walls, which were said to be possibly responsible for residual hauntings, i.e., haunting that are from left over energy without any intelligence. Looking back, I can see how the quartz might have tweaked my flash and made something appear. Though I did take the same photo again in similar circumstance and nothing happened. Flash forward to 8 pm that evening. Keep in mind I only had one glass of wine at dinner, around 6 pm. The night tour goes for two hours and there’s a lot more emphasis on the paranormal. Our guides were enthusiastic on the subject, which made it more fun. After wandering through the actual hotel, we headed for the concert hall, the most haunted property on the lot. 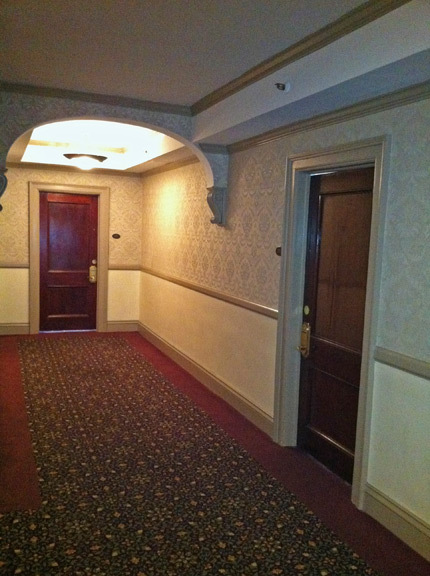 According to the guides, the hotel has 20% intelligent hauntings and 80% residual hauntings. It’s the exact opposite at the concert hall. They named three frequent ghosts, Lucy, Edward and Paul, and took us to their hotspots. First, we went to Edward’s spot, which was the front the concert hall, including the balcony and the stage. The first guide told us some stories about Edward, a former handyman at the hotel who didn’t like people very much and was protective of his work space. After the guide spoke, we were free to wander a bit. Susan and I wandered over to the other guide and asked her about any recent activities. She pointed to the bathroom and said she won’t go in there, it’s been really active and it gives her a creepy feeling. Of course, Susan and I made a beeline for the john. We went inside and I took this picture. As you can see, it’s a single toilet bathroom, no stalls or anywhere for someone to hide. Didn’t see or feel anything weird. We stepped out and started chatting with the guide for a few minutes. All of the sudden, we heard a loud banging noise come from the bathroom, like someone had hit the wall with their fist, hard. Yeah, I jumped. So did Susan and the guide. After about a minute, Susan went to investigate. She opened the door, took a look inside, and the banging noise happened again. There was no one in the bathroom and the sound came from inside, not outside. Okay, so, color me a little less skeptical. We told the other guide about the experience and he was quite impressed. He went to the bathroom, but whatever was in there had quieted down. So the guides led us downstairs to Lucy’s room. Lucy’s room. That’s the door. The person in the doorway is our guide. Not Lucy. Lucy is supposedly a homeless woman who lived in the concert hall during the hotel’s bankrupt period. She was discovered and told to leave and, according to local legend, later froze to death in the snow. While the first guide told us this story, he got a startled look on his face and turned to the door that leads into the room. And then the door shut by itself. The guide opened it again and showed us the part of the carpet that’s raised to keep the door from shutting by itself. The windows were closed and there was no breeze that I could detect. We waited and watched, and the door moved a little again, but didn’t shut. So, we left to go to Paul’s room. Paul was another Stanley Hotel handyman. He apparently had a heart attack while working and died while attempting to drive to the hospital. He’s supposed to be more social and friendly than Edward. While the guides told us Paul’s story, we heard the door to Lucy’s room slam shut. That was the end of the paranormal activities for the evening. The tour went long as we all roamed around the concert hall and exchanged ghost stories. It was fun and exciting. Susan and I returned to our haunted room. We both stayed awake pretty late, but nothing happened. The maid felt no compulsion to pay us a nocturnal visit. The next morning, we booked ourselves tickets for the Friday night Ghost Hunt. Now, the Ghost Hunt is a different animal than the other tours. It lasts from 8 pm to 1 am and you are accompanied by paranormal experts. Plus, equipment is made available, such as EMF and K2 meters. Don’t ask me what they are or how they work. All I know is that they’re supposed to measure levels of energy. We settled in the dark and our guide placed two flashlights on the ledge. These were the small, screw-on type of flashlights. Susan placed the K2 monitor where everyone could see. Nothing much happened at first. Then the K2 monitor started flashing. The guide asked if the ghost could turn one of the flashlights. One of the flashlights turned on by itself. During the next half-hour, the flashlight would turn on by itself at various times. The intensity of light would vary from a quick flicker to strong. That was pretty cool. What got me feeling skeptical again was some kind of iPhone app the guide used, which supposedly picked up the ghost’s voice. All it did was use a mechanical voice to say random words. If a word seemed pertinent to what was happening, everyone got excited, but the majority of words were too random to mean anything. After the balcony, we headed downstairs for a ladies room haunted by Lucy, and by ladies room, I do mean bathroom, stalls and all. It did seem a little silly to be sitting in the dark on the floor of a bathroom with a bunch of people, waiting for a paranormal experience. Still, we weren’t disappointed. The K2 monitor flickered and the flashlight went on and off several times. I have to add that I sat right next to the guide and the flashlights were between us. He never touched them. His hands were visible and I couldn’t see any kind of remote control. After that, we switched guides and headed back to the hotel. We were in luck that night. 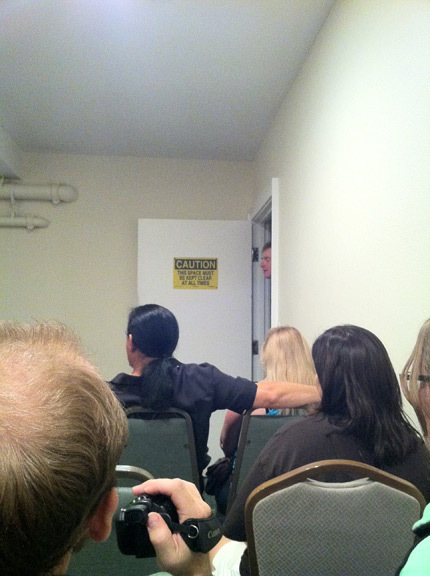 The group who had booked Room 217 had cancelled their reservation, so the hotel allowed us access. Very cool and exciting. Except, nothing happened. We sat in 217 for about half-an-hour. The K2 meter flickered a bit. The flashlights didn’t turn on. Our new guide, who I think was a former cast member of “Ghost Adventures,” turned on a ghost box and told people to ask questions. We dutifully asked the ghost maid questions about the hotel and her life. Then the guide played back our questions and we listened for answers. There was some fuzzy sound after a question about Christmas. People got excited and I got more skeptical. Then the guide turned on a radio that moved rapidly through the stations. Apparently, ghosts can communicate through the airwaves. Honestly, it just sounded like a lot of noise with an occasional clear word that, again, got folks excited but left me cold. We left Room 217 and camped out in another empty room, 407, and it was basically a repeat performance. The last hour was spent ghost hunting on our own in the concert hall. Susan and I once again headed for Edward’s bathroom. No knocking this time, but the K2 meter went off the hook, sometimes blinking rapidly and sometimes not giving any indications. We experimented, taking turns being alone in the bathroom or being joined by two other women. Interestingly, we had the most activity when there were four women in the bathroom, but when we were joined by a man, the meter went quiet. Edward seems to like the ladies. Overall, it was a very fun experience that passed quickly. However, I did leave more skeptical than when I entered. I can’t believe in intelligent hauntings. If there was an intelligent presence, why doesn’t it just speak up? Why are all the bells and whistles necessary to communicate? Residual hauntings… hmm. I can believe in that to some extent. Experiences and emotions can be very powerful and I think residual energy can be left behind, not so much haunting as energy that still has the power to interact in the right circumstances. As I wrote the above sentence, I was reminded of a Bible verse. Not “your brother cries out,” but, “your brother’s blood.” Makes me think of when you go someplace where you know something bad has happened and you can feel it, an echo of bad energy. Same thing when you go someplace happy and you get the warm fuzzies. I remain a skeptic, but one who had a great time and would gladly return to the Stanley for another spooky experience. Currently, Permuted Press is offering three books for free. I think these nicely represent the publisher’s catalog. You can find them here. Want more? Okay, then. Permuted Press is having a 99¢ sale. A tasty selection of gory despair is on sale now through August 22, 2012. Check it out here. These are time-sensitive links, so if any of this appeals to you, don’t wait. She who hesitates is lost… to the legions of the undead! 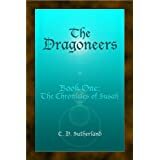 Please Note: I make no guarantee that any of these books will still be free or on sale when you click the above links.